By integrating Magento with HappyFox Chat you can, view the history of orders placed, the list of items in each order and statuses of each order. Only Admin of HappyFox Chat account has the access for integration. 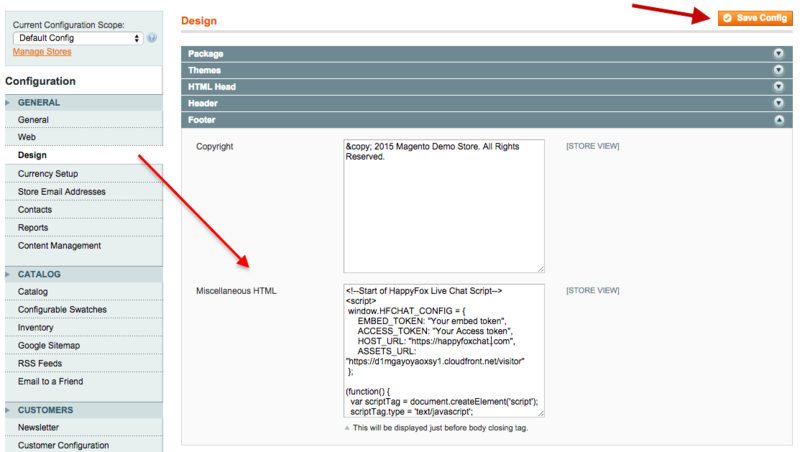 On your Magento account, ensure your role is admin. This integration is available only on Mighty and above plans. Log in to your Magento store. Go to System → Web Services → Rest-Roles. Select Role API Resources in the left → Set Resource Access to All. Click Save Role. Under ACL Attribute Rules, set Resource Access to All. Click Save. Go to System → Web Services → Click Rest-OAuth consumers. Click Add New → Enter a Name. Copy Consumer Key and Secret → Click Save. Step 1: Login to HappyFox Chat account. Step 2: Go to Apps → E-Commerce → Magento. Step 3: Click on INSTALL/TRY FOR 7 DAYS. There is 7-Day free trial for this paid integration. 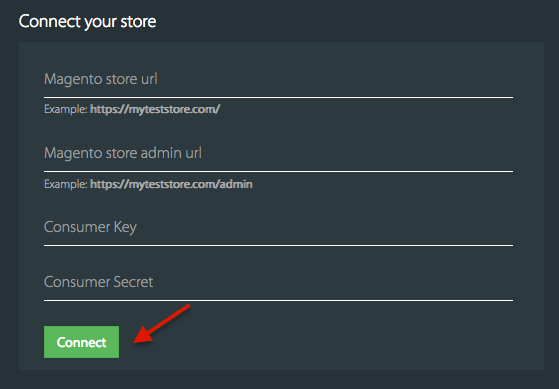 Step 4: Enter Magento Store URL, admin URL, Consumer Key and Secret → Click Connect. You will be prompted to allow access for the integration. Step 5: After updating your preferences under settings, click Update settings. Go to System → Configuration. Click Design on the left and paste HappyFox Chat installation code inside Miscellaneous HTML. Click Save Config. 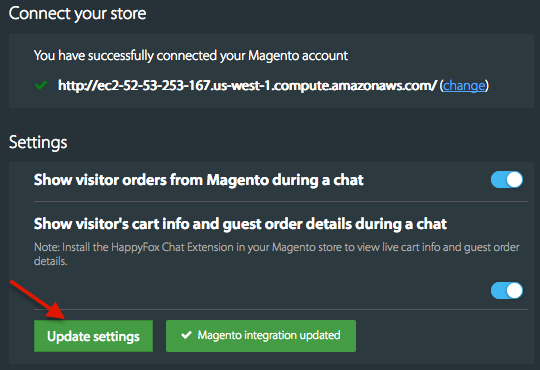 You have now successfully integrated and installed HappyFox Chat on your Magento store! HappyFox Chat will pull visitor information from Magento store, display Order and its details. Note: If you’re unable to view customer info, simply type '!' and choose !refreshvisitordata to refresh the customer information meta area. If you want to view the live cart details also, follow instructions here.